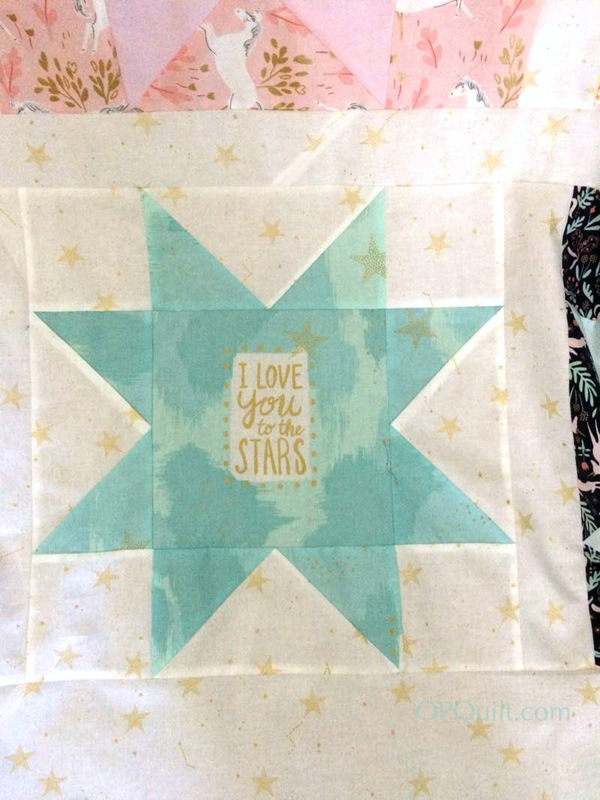 Magic Stars Quilt, with Sarah Jane fabrics | OccasionalPiece--Quilt! 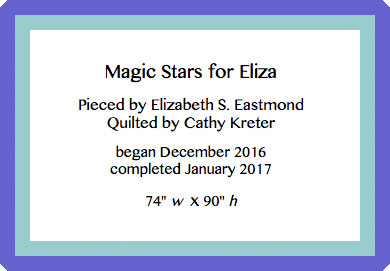 Posted on January 15, 2017 by Elizabeth E.
…with fabric by Sarah Jane. 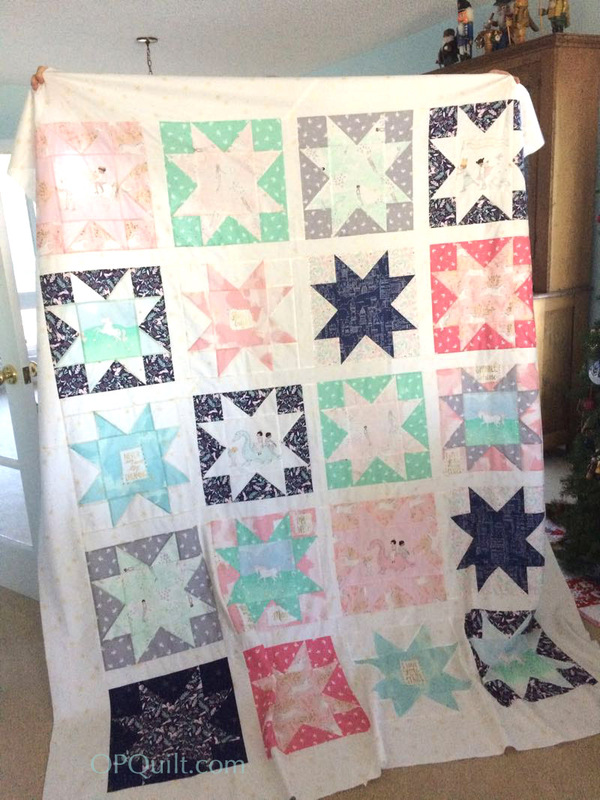 A relative of mine fell in love with her work and asked me to make her a quilt for her daughter, who has a name similar to mine. I found the pattern on Michael Miller’s Website, and followed it exactly. I made it over the break between Christmas and New Year’s. You can see my husband’s nutcracker collection on top of our hutch. I trundled it off to my longarm quilter, and she did a quick turn-around. 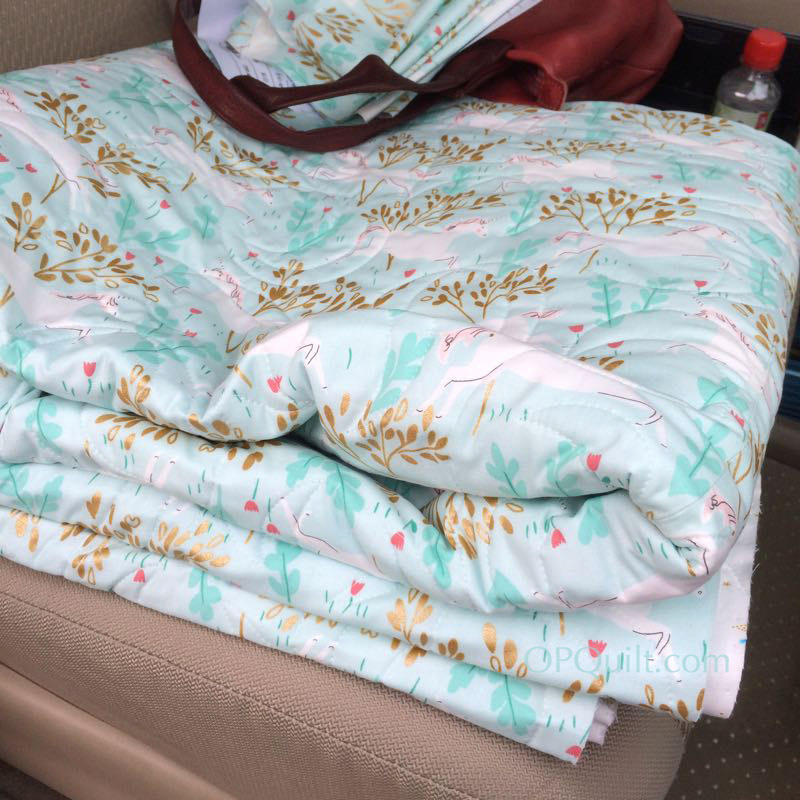 It’s always a happy day to pick up a quilt from Cathy. This fabric is very silky, and I enjoyed working with it. And on my birthday, I declare it done! Happy New Year, Happy New Quilt. This is Quilt #176 on my list of 200 quilts. 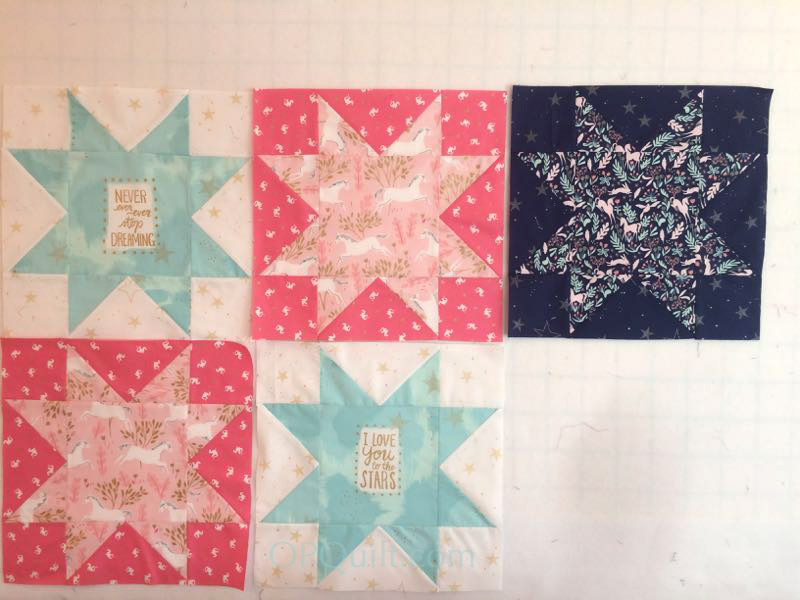 I never thought I’d reach 176 quilts. If you haven’t started your list, do so now. 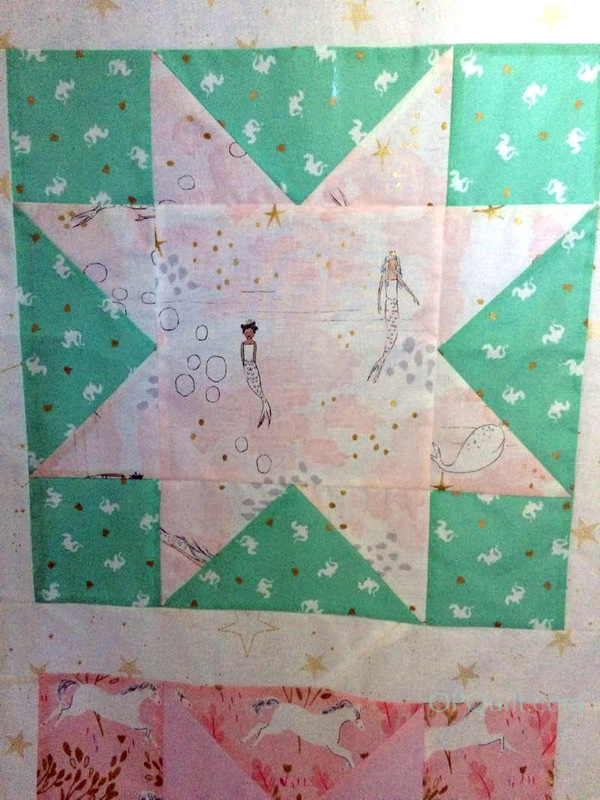 We chose a pattern called “party ribbons” for the quilting, as it fit in with the theme of the fabric. 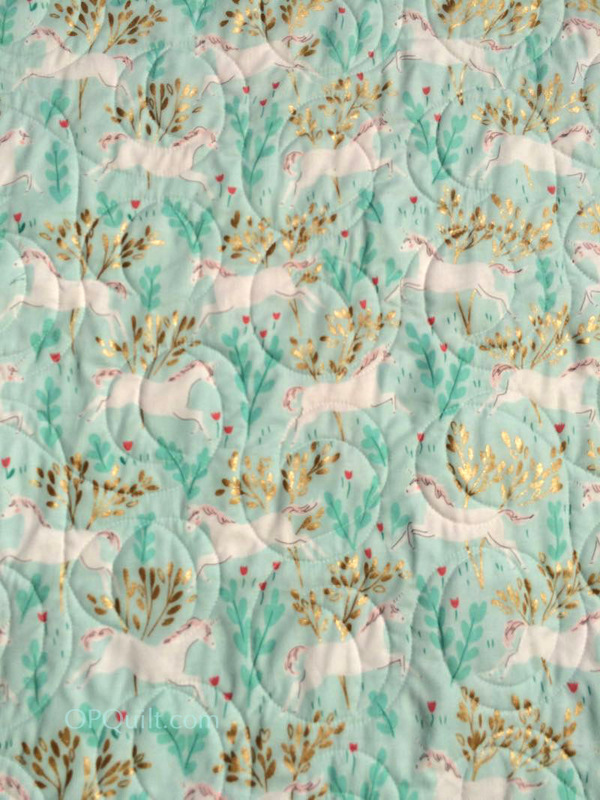 The backing has unicorns with touches of gilt bushes. I packaged it up and sent it off, the people in the Post Office helping me find just the right box. I didn’t label it because it was going to live at someone else’s home, but if I could, it would look like the one above. 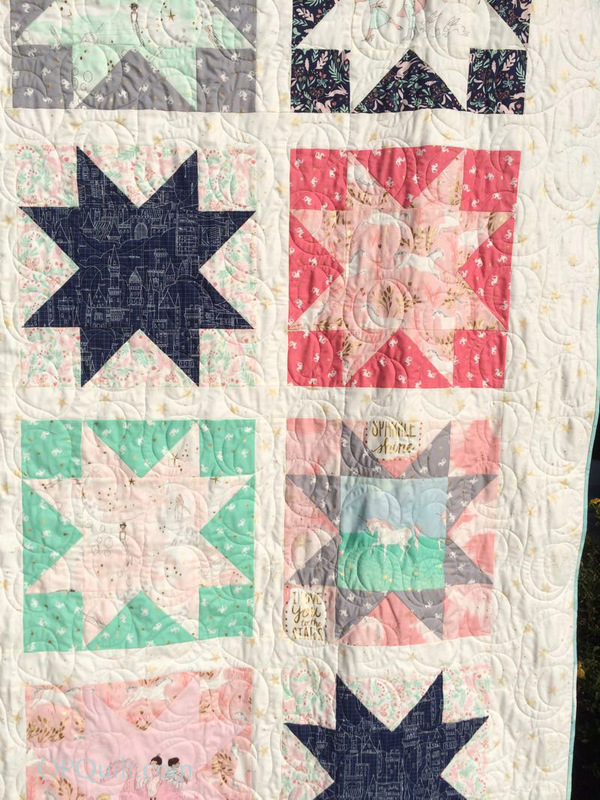 Rebecca sent me this photo of the quilt on her daughter’s bed. So glad they both like it! Oh, my! That little girl’s face says it all! 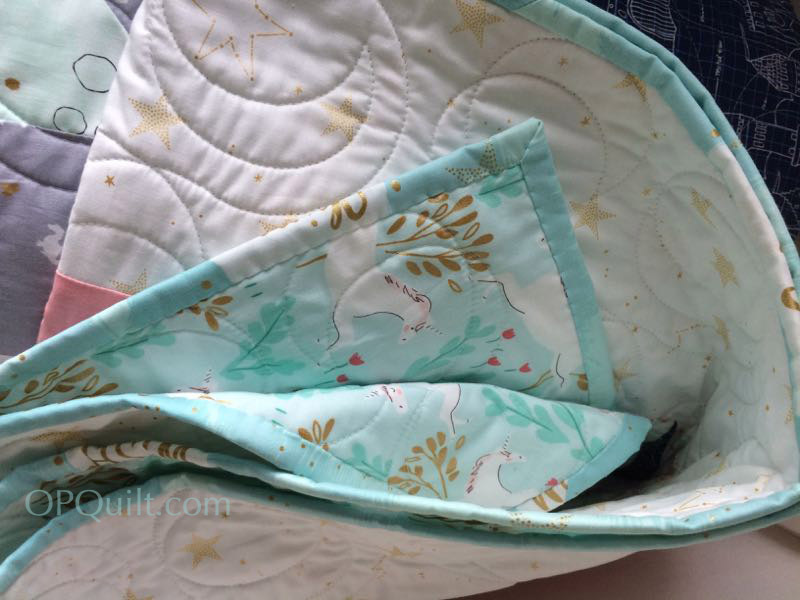 It’s a lovely quilt and it will be cherished! That is so sweet and looks so soft and cuddly. 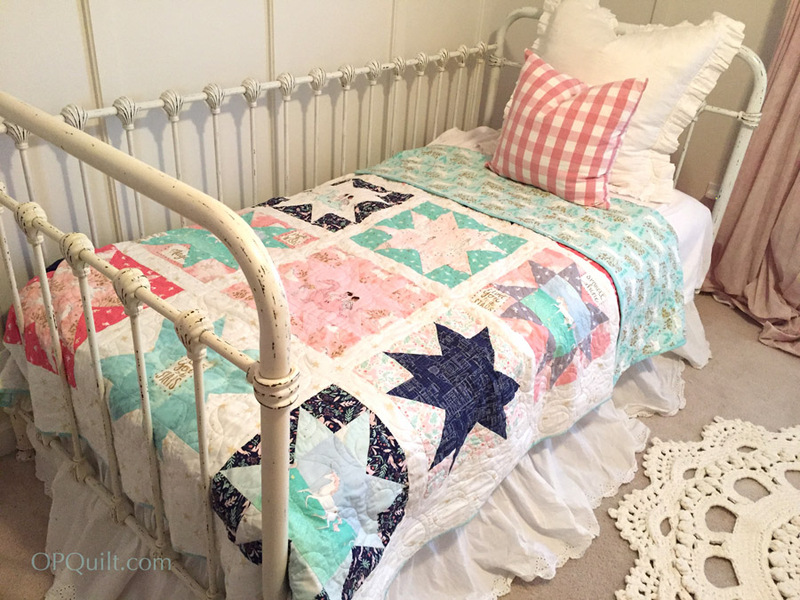 It is the perfect quilt for a young girl. Lovely! 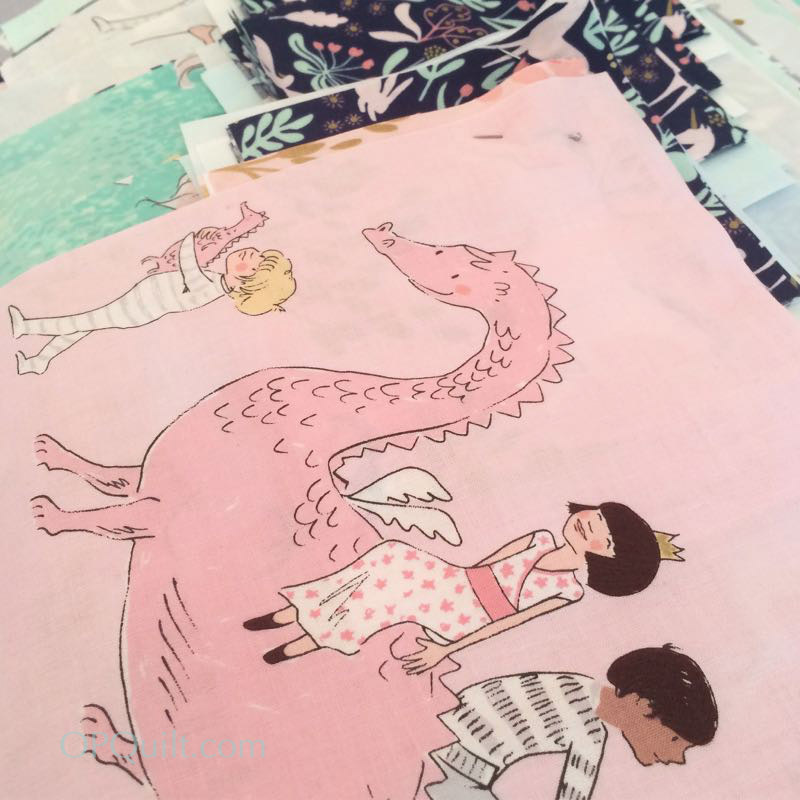 I have a red-headed granddaughter too, and she will be moving to her ‘big girl’ bed before too long-I’m going to look for this fabric line. Thanks for the inspiration! I wish you had put a label on it. I saw it and Eliza last night. She snuggled in it. Another great job, Sister. 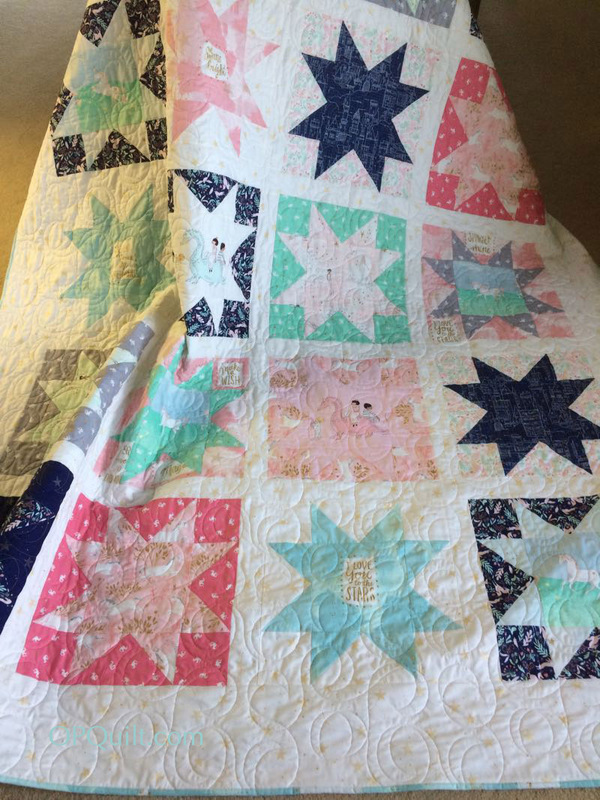 Oh my goodness, what a sweet quilt but there is nothing like seeing how well the quilt is loved and appreciated! It is a beautiful quilt. I think the fabric is gorgeous. What a lucky girl. And happy belated birthday, to you. 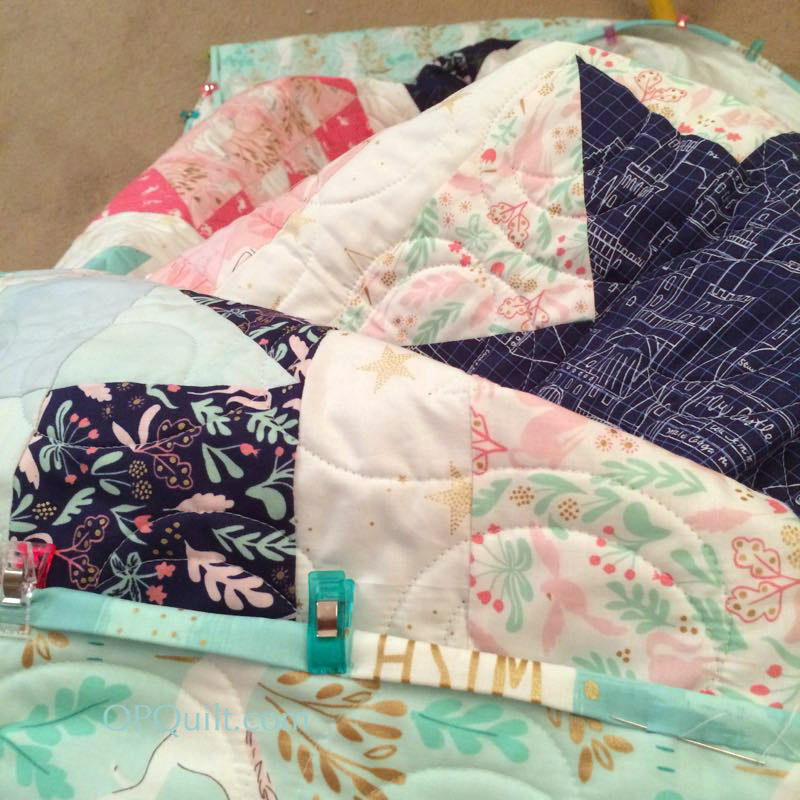 Gorgeous quilt Elizabeth! Those stars are so pretty, and far larger than I imagined they were! Eliza looks very happy to be the new owner! I’m wondering the reason in not labelling the quilt? 176 hey? Are you stopping at 200?? LOL! It’s nice to have a reason to make a simple – but beautiful! 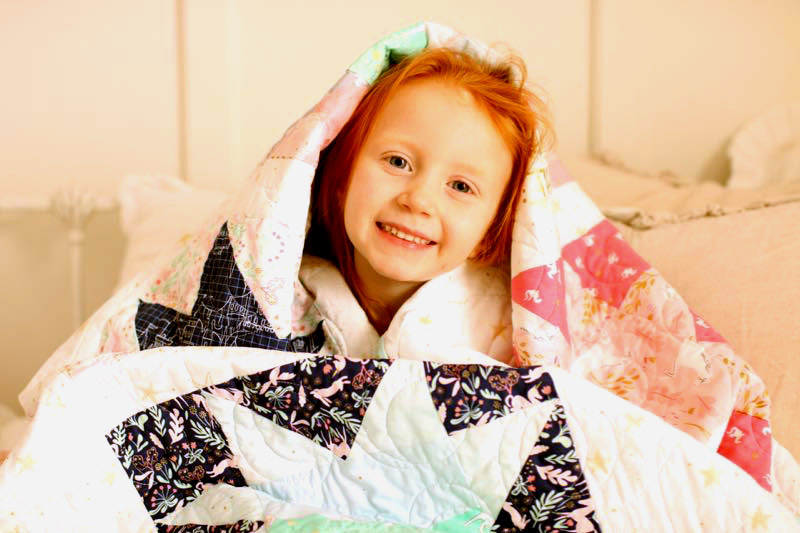 – quilt that satisfies one’s creative energy, and allows a quilter to enjoy the process. This one does just that. And that it was WANTED, and is already loved makes it all the more wonderful. I’m happy for you to have a reason to make a quilt. 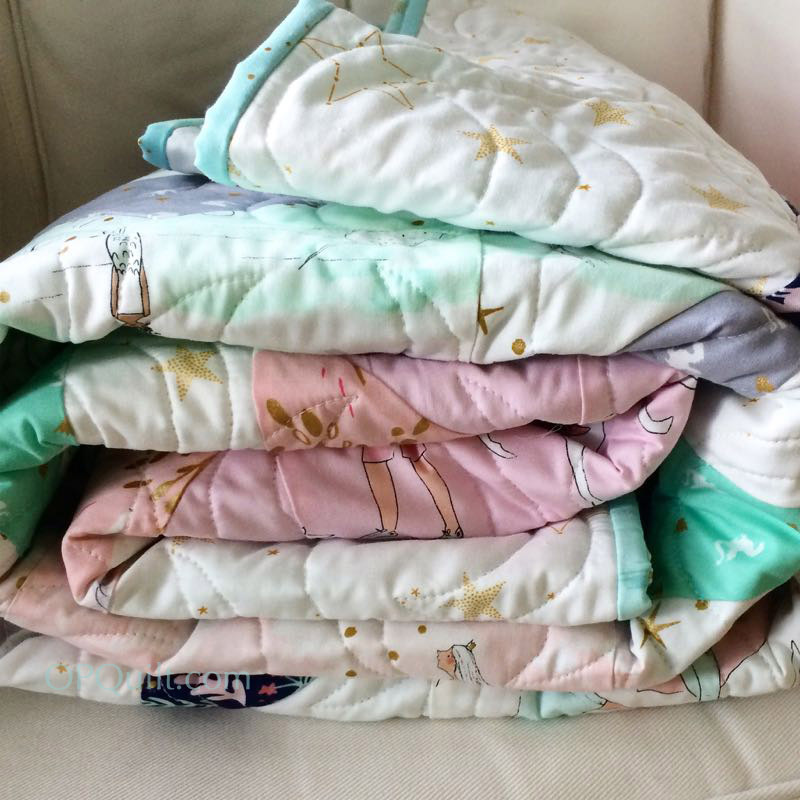 Those of us who have quilted for more than 30 years, and have dozens and dozens of quilts with no home, fully appreciate how special this is. 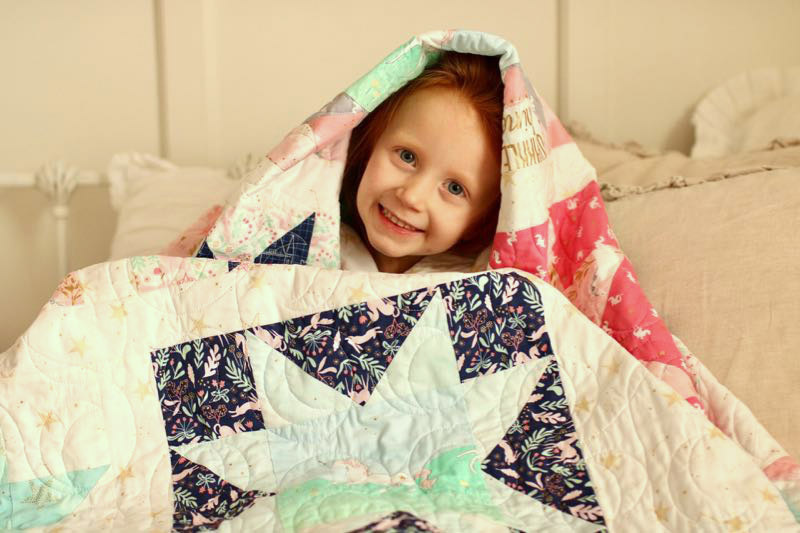 This is a beautiful fairytale quilt….the Little girl looks fabulously happy with her gift! So beautiful in its eye catching design. 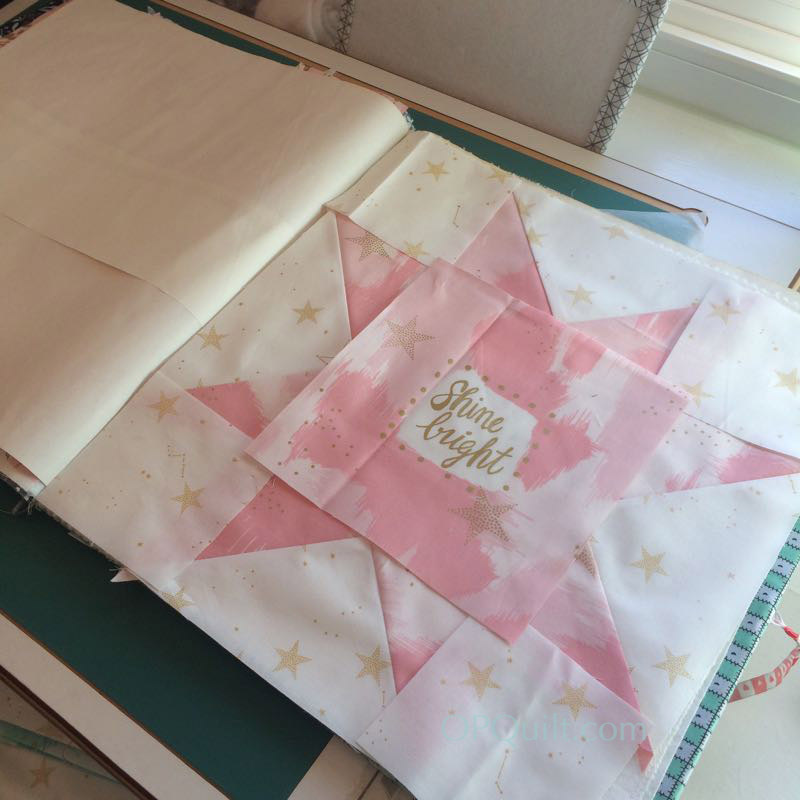 What is the name of the material you used for the center words, or is it also Sara Jane’s line? I am sure Cathy K does excellent work or you would not use her. If you ever need an alternate source I would like to recommend Glenda Palmer in FL. Glenda does exquisite long-arm work also. I might be a tad prejudiced as she is my granddaughter’s other grandmother. 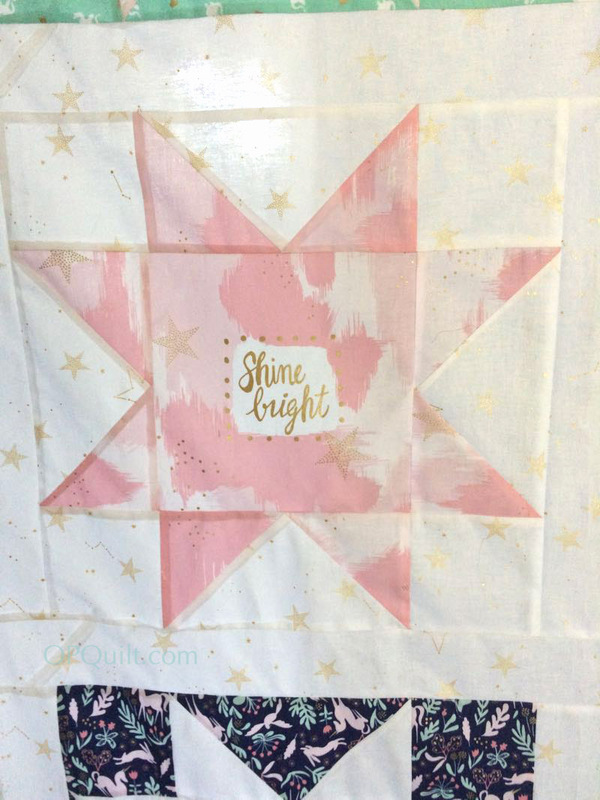 Quilt #176? Amazing! 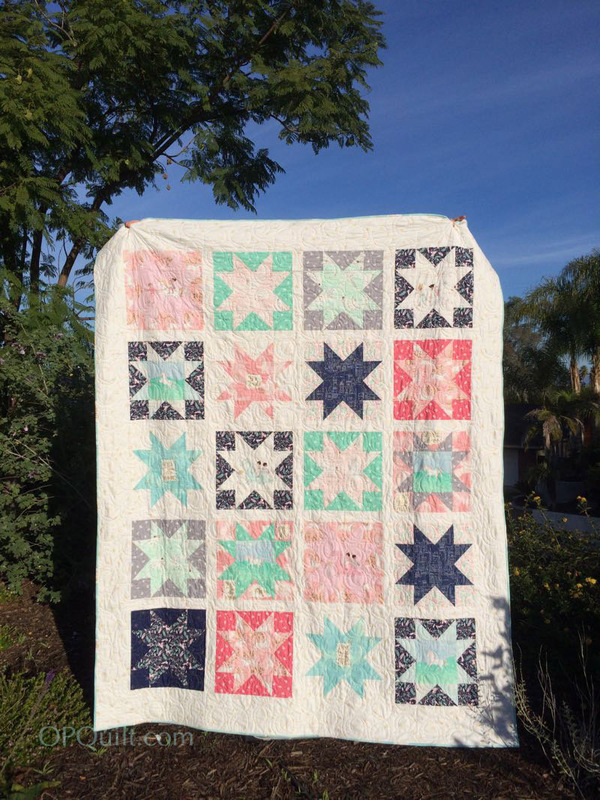 Pingback: Liberty USA Mini Quilt, 3 | OccasionalPiece--Quilt!